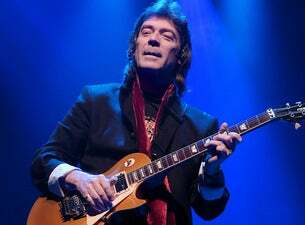 Since the 1970s Steve Hackett has had a remarkable musical career, releasing more than 30 solo albums, seven Genesis albums and working alongside Steve Howe of Yes with supergroup GTR. Renowned for being one of the most innovative rock musicians of our time, in 2010 he was inducted into the Rock Hall Of Fame. See legendary artist live as he returns to the orchestral format, playing with his electric band plus orchestra in a special Genesis Revisited concert.